The High Street Concert Series is an exciting new endeavor in the High Street Hill (or "Pill Hill") area of Brookline Village. Hosted by the Latvian Lutheran Church of Boston, this concert series invites a hyper-local audience within the surrounding residential area to mingle with a broader audience of fans of the artists scheduled within the series. The inaugural season of the High Street Concert Series runs from October 2018 through June 2019. Concerts are on Friday evenings at 8pm. The High Street Concerts Series (HSCS) is hosted at the Latvian Lutheran Church of Boston at 58 Irving Street in Brookline Village. There is ample free on-street parking in the surrounding residential neighborhood of Pill Hill on Irving, Allerton, Acron, and Upland Roads. Please be mindful of signs indicating on which side of the street parking is allowed. The series is located in close proximity to the MBTA Brookline Village station (Green Line, D branch) and Riverway stop (Green Line, E branch) and is along Bus Route 60. ​Tickets: general admission $15, students $10, subscribers $12, children till age 12 free. At the moment HSCS accepts cash and checks. Purchase tickets to all three Fall 2018 performances at the first concert to receive special "subscriber" pricing: $12 per concert instead of $15 ($36 total vs. $45, a 20% savings). .Aija Reke is a violinist, chamber musician and pedagogue. She graduated Boston University (MM, 2015) with CFA Full Tuition Scholarship, and Rotterdam Conservatory (BM, 2013) in the Netherlands. Winner of “Solo Bach Competition” at Boston University (2014), a member of Pi Kappa Lambda, American National Music Honor Society since 2015 and a recipient of the Boston Latvian Cultural Heritage award (2014). She has performed extensively in Europe and North America as a soloist, chamber musician and in numerous orchestras. Aija is a founding member of “Theia Piano Trio”, which toured in the USA. She is a Violin Faculty at the Ip Piano School. Her second instrument is Baroque violin. Aija has performed with the Baroque orchestras “Collegium Musicum” at the University of Toronto (Canada) and “Collegium Musicum Riga” (Latvia). 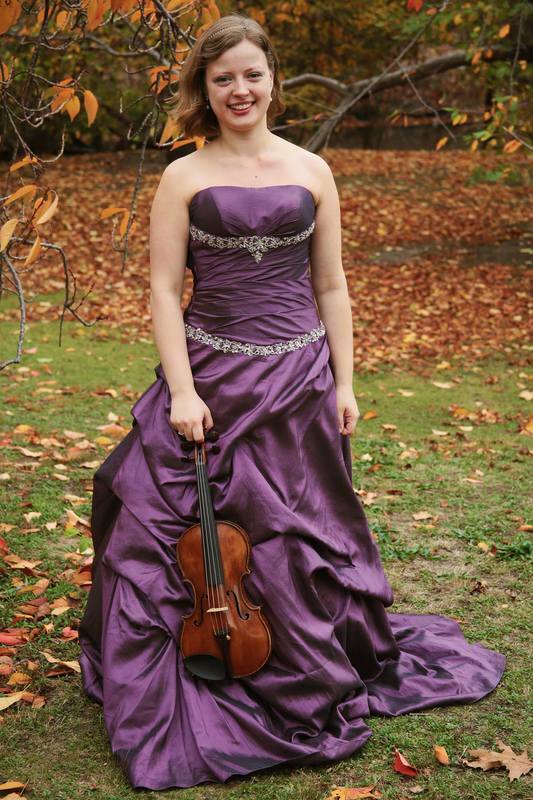 She performs regularly with ALEA III - Contemporary Music Ensemble in Residence at Boston University, as a first violinist of the New Bedford Symphony Orchestra and Boston Modern Orchestra Project and is a Guest concertmaster of Wellesley Symphony Orchestra under direction of Max Hobart. Her collaboration with several composers led to multiple world premieres, including microtonal “Musings” for violin solo by Lara Poe and “double images” for violin and piano by Ketty Nez. Lara Poe wrote a large scale microtonal Violin Concerto (2017) for Aija Reke and John Manuel Pacheco dedicated his Second Violin Sonata (2018) to her. There is on-street parking in the surrounding neighborhood of Pill Hill on Irving, Allerton, Acron, and Upland Roads. Please be mindful of signs indicating on which side of the street parking is allowed. The series is located in close proximity to the MBTA Brookline Village station (Green Line) and Riverway stop (Orange Line) and is along Bus Route 60.